Beach Boys Band‬ had cancelled their concert In Tel Aviv scheduled for November 29. ‪#‎BDSIsrael‬ movement supporters had been pressuring artists from performing in the Apartheid Entity of Israel since 2005 that the ‪#‎BDSmovement‬ was funded. ‪#‎BDS‬ had grown up globally and it is out of the control of Zionists organizations, and hasbarist. For now we claim victory and claim the The Beach Boys belong to our camp ‪#‎Celebs4Pal‬ until otherwise is published. We know from past news on artists that had canceled their concerts in Apartheid Israel don’t want to publish the real reason, but we must recognize that Israel is losing the Public Relations campaign and its credibility is really low. Companies are cutting ties with the Zionist entity, governments are showing their dissatisfaction with Israel’s latest atrocities in West Bank and the well known Gaza genocide that many in the media don’t talk about, but the pictures, videos from news agencies and the facts on the ground are all to tell a tale of genocide. Show your support to Beach Boys by sending thanks notes to their twitter and facebook accounts like their page at The Beach Boys, and follow them @TheBeachBoys. BDS all the way until Israel is dissolve form the map. The boycott is hurting Israel and its supporters where most hurt, the money! 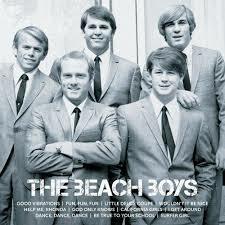 Want to know more about Beach Boys like their facebook page, thanks them for being in the right side of history. “The Beach Boys have called off a concert they had been scheduled to give on November 29 in Tel Aviv, the local promoter of the cancelled concert, Gad Oron, said on Tuesday. He said he received a brief note informing him that the band had decided to cancel the concert at Tel Aviv’s Nokia Palace Arena. Some activists and public speakers had spoken on the BDS movement as something not good for Palestine, well we seen that the those feeling are at odds with the reality we have in front of us.